Welcome to my research lab! 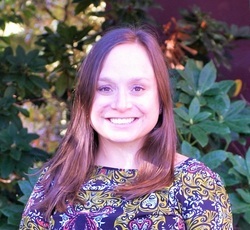 I am an Assistant Professor in Human Development and Family Sciences (HDFS) in the College of Public Health and Human Sciences at Oregon State University. I joined the OSU faculty in August 2013 after completing an Institute of Education Sciences postdoctoral fellowship at the University of Virginia's Center for Advanced Study of Teaching and Learning. The majority of my work focuses on teacher-child interactions in early care and education settings. However, I also focus on the importance of parent-child interactions. The goal of this research is to identify specific strategies that parents and teachers employ to support adaptive emotion regulation and activity in the stress response system for young children. If you are interested in learning more about our graduate program in HDFS, please contact me at bridget.hatfield@oregonstate.edu. Hello! My name is Adrienne Henry. I am a graduate student currently pursuing my PhD in Human Development and Family Sciences at Oregon State University. I returned to school after many years as a preschool and toddler classroom teacher and parent educator. My professional interests focus around children from birth to 3, and their caregivers. Specifically my research interests center on the experience of the caregiver, and how this may impact classroom quality and teacher-child relationships. My current funded research seeks to understand the possible effects of caregiver health and well-being on classroom quality. My additional professional interests include facilitating the translation of research findings between researchers and community members in order to promote positive change for children and families. I am excited to be a part of the SEARCH Research Lab! Graduate Students: Staci Ebadirad, M.S., Kelly Hoke, M. S., & Alexis Tracy, M.S.